Zoinos Winery covers a total surface of 232 m2. 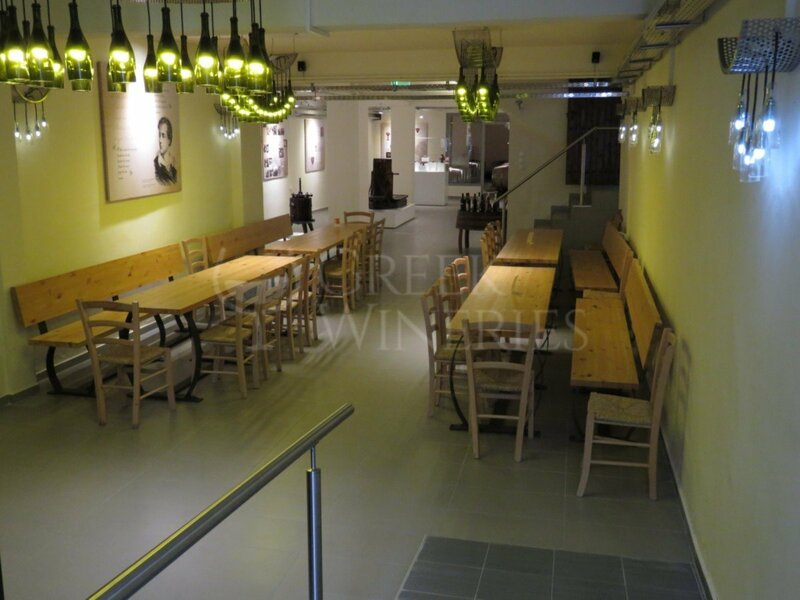 Situated in a semi-basement, a unified space has been properly designed to include a briefing room to host and inform the visitors about the winery, a showroom and a wine-ageing room. A special briefing room of 47 m2 and 50 people capacity is equipped with audiovisual material and destined to inform visitors about the history of ZΟINOS SA. The showroom, that covers a surface of 120m2, is divided in three sections. 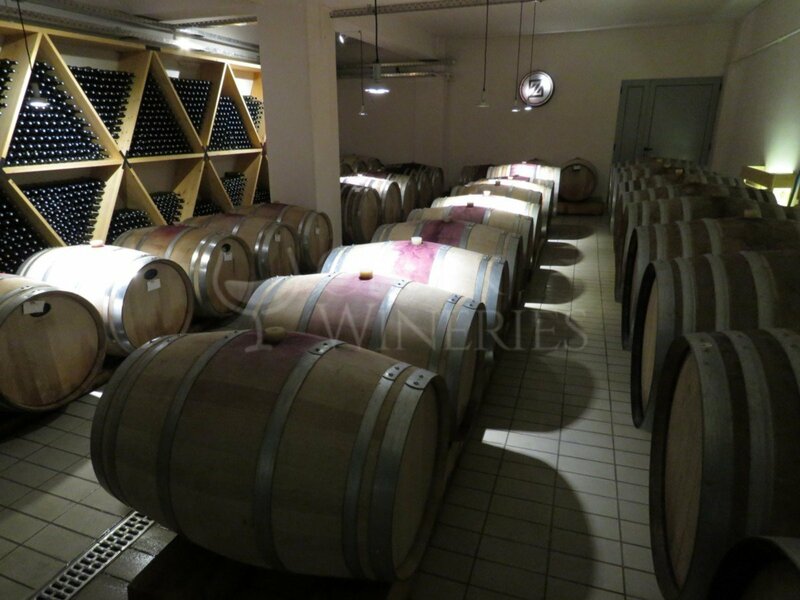 The first section refers to historical data confirming not only the reputation of Zitsa wine over the centuries, but also the involvement and participation of the local society in winemaking. With references to the classical period and the Greek Mythology, mainly to the God of wine Dionysus. 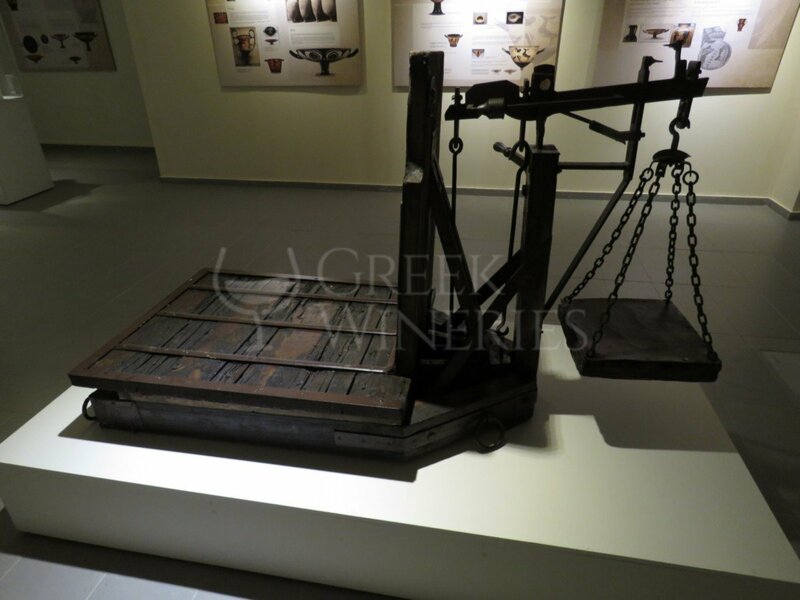 The second section aims to emphasize the timeless and inextricable link between wine and Greece. 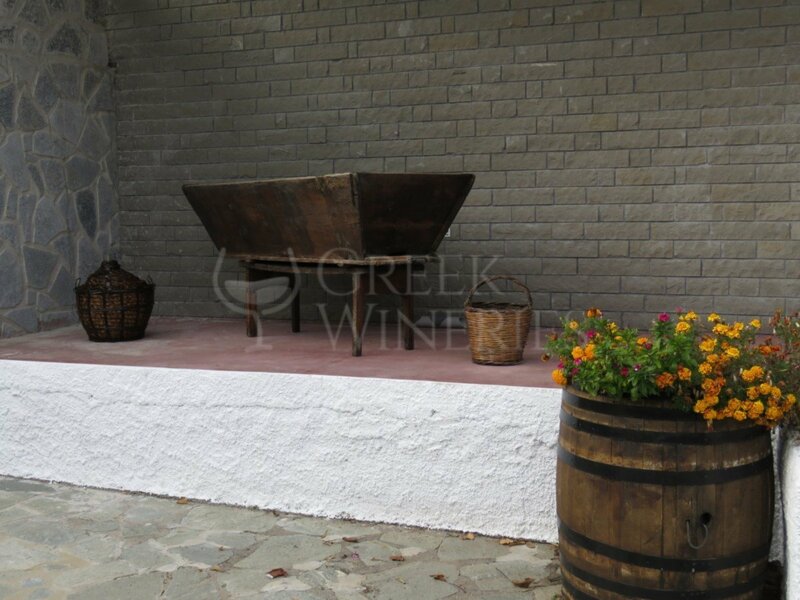 This presentation is made with the reproduction of written texts and photographic material of the pots used in the winemaking process. It presents a series of vase replicas with mythological and historical representations. 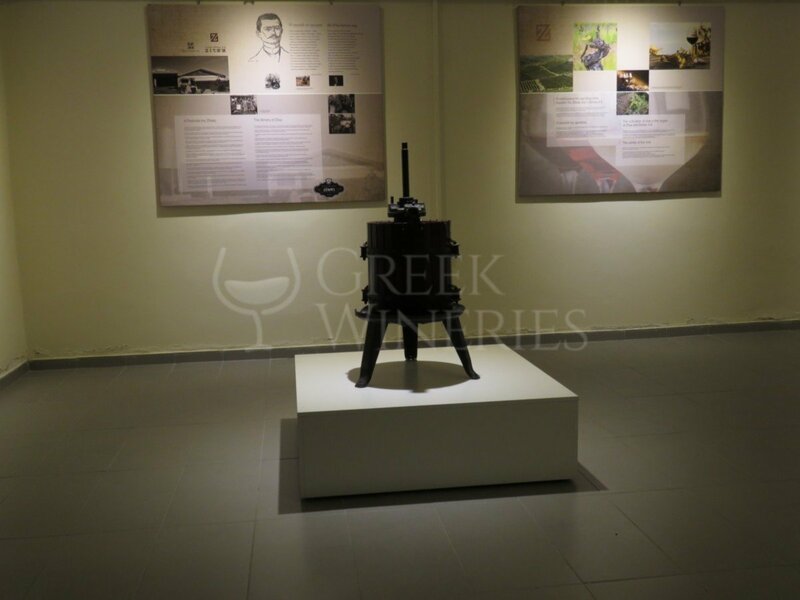 The third section guides us through the historical route of bottles, presenting products from the winery (wine and tsipouro –a strong distilled spirit), as well as equipment and other items that were used in grape harvesting and winemaking. The ageing room, an area of 65 m², houses bottles and barrels of wine and tsipouro. The visitors may see it, but they are not allowed to enter it, so that any alterations to the process of the maturing are avoided. The short journey to the past and present of Zitsa wines ends pleasantly with a glass of wine, a tasting that awakens the senses! 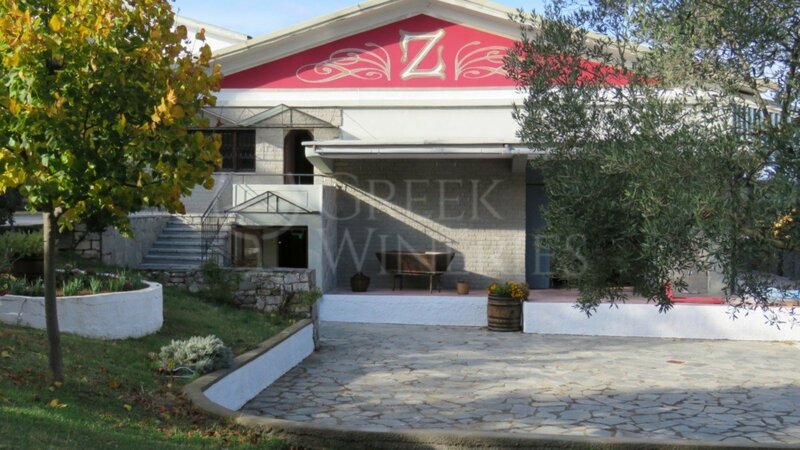 The winery’s products are: Zitsa semi-sparkling, Aurelia pink sparkling, Epiloges, Zitsa classico, Orines Diadromes, Klima Epirotiko. White: Debina Vlachiko, Bekari Chardonnay, Traminer, Malaguzia, Kolokithas, Fraulia. Red: Cabernet Sauvignon, Agiorgitiko.